The study evaluated the health risk of metals in commonly consumed staple foods from Lagos and Ogun states, southwestern Nigeria. One hundred and thirty-three food samples were collected and analyzed for Zn, Cr, Cd, Ni, and Pb using atomic absorption spectrophotometric method. Data collected were analyzed for simple descriptive and inferential statistics using SPSS for Windows. The health risk of metals in staple foods was assessed for average daily dose (ADD), hazard quotient (HQ), hazard index (HI), and cancer risk (CR). Results showed the highest concentrations of Zn (18.99 ± 13.62 mg kg−1) and Ni (0.21 ± 0.10 mg kg−1) in beans, while the highest amount of Cr (2.04 ± 1.44 mg kg−1) was obtained in rice. Cd concentrations in staple foodstuffs ranged from < 0.01 to 0.30 mg kg−1, while Pb was below the detection limit. The average levels of Zn in beans and maize were higher than the recommended dietary allowance (9.5 mg kg−1) of the Institute of Medicine. The mean concentrations of Cr and Cd (except for rice) in staple food samples were also higher than the permissible standards. 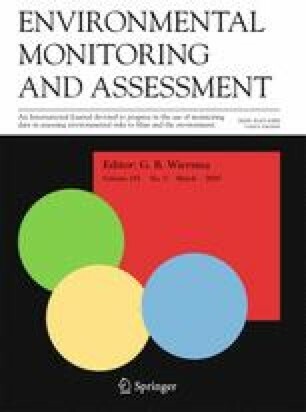 The health risk data revealed HQ value greater than 1.0 for Cr in the food samples, indicating non-carcinogenic adverse health effects. The HI value greater than 1.0 in staple foods established cumulative adverse effects of metals. The carcinogenic evaluation of Cr (in all the food samples) and Ni (in beans) showed CR values greater than the acceptable limit of 1.0 × 10−4, thereby demonstrating possible development of cancer through consumption of the staple foodstuffs. The online version of this article ( https://doi.org/10.1007/s10661-019-7307-5) contains supplementary material, which is available to authorized users. The authors acknowledge the laboratory assistance from the Central Laboratory, University of Ibadan, during the sample analyses. ATSDR. (2005). Cadmium toxicity: where is cadmium found? https://www.atsdr.cdc.gov/phs/phs.asp?id =300&tid=54. Accessed: 25/01/2019. ATSDR. (2008). Public Health Statement for zinc. https://www.atsdr.cdc.gov/csem/csem.csem=6&po=5. Accessed: 08/04/2018. FAO/WHO. (2015). General standard for contaminants and toxins in food and feed (CODEX STAN 193-1995). Working document for information and use in discussions related to contaminants and toxins in the GSCTFF. Codex Alimentarius Commission international food standards. www.fao.org/input/download/standards/17/CXS _193e_2015.pdf. Accessed: 03/03/2018. Finelib.com. (2017). Beans producing states in Nigeria and its various types. https://www.finelib.com/about/nigeria-cash-crops/beans-producing-states-in-nigeria-and-its-various-types/112. Accessed: 01/03/2018. Lenntech. (2018). Heavy metals. https://www.lenntech.com/processes/heavy/heavy-metals/heavy-metals.htm. Accessed: 06/03/2018. National Population Commission. (2010). 2006 Population and Housing Census. Federal Republic of Nigeria. Priority Table Volume III. 64p. https://catalog.ihsn.org/index.php/catalog/3340/download/48521. Accessed: 06/02/2019. Nriagu, J. (2007). Zinc toxicity in humans. School of Public Health , University of Michigan. 1-7p.http://extranet.elsevier.com/homepage_about/mrwd/nvrn/Zinc%20Toxicity%20in%20Humans.pdf.Accessed: 06/02/2019. WHO. (2014). Cancer country profiles 2014 http://www.who.int/cancer/country-profiles/nga_en.pdf. Accessed: 10/07/18). WHO. (2015). Country statistics, Nigeria. www.who.int/country/nga/en. (Accessed:10/07/17).